Before you call it a hoax, look at the photos. No, this really has happened, we’re in America. 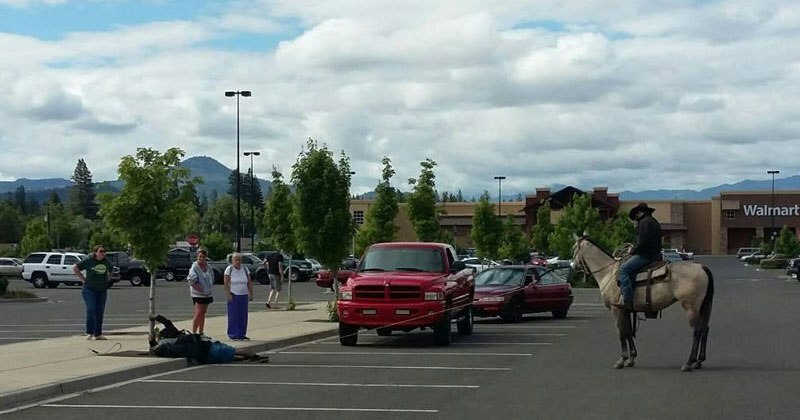 So what happened was that a would-be thief attempting to steal a mountain bike from a rack outside a Walmart in southern Oregon was chased down by a cowboy on a horse and lassoed until police arrived to arrest him. So he went to the trailer and hopped on his trusty steed Long John, who was with him to help handle the cattle, and together they gave chase. 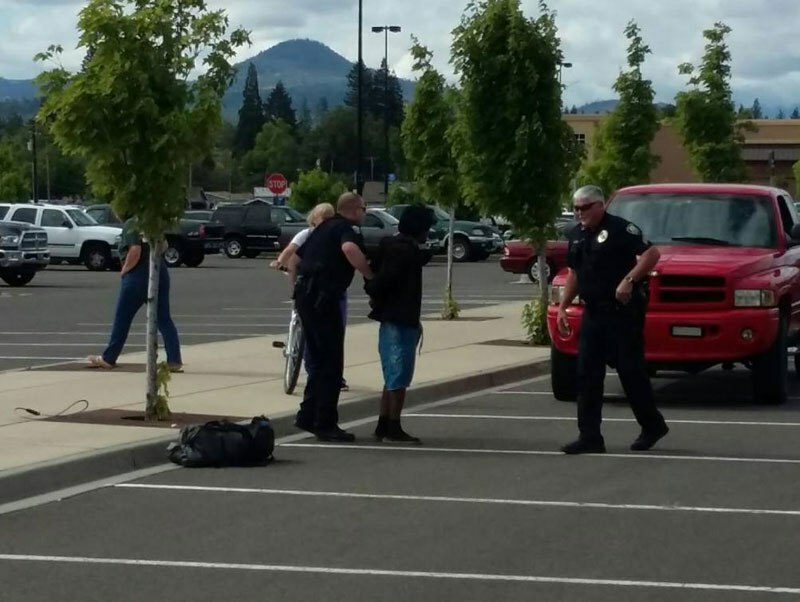 They were picking up speed as the thief was having trouble figuring out how the bikes gears worked and ditched the bike, attempting to flee on foot. 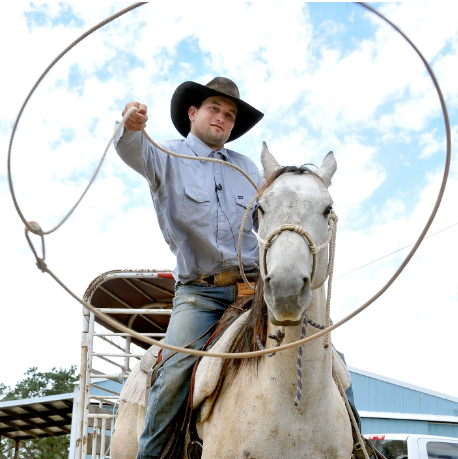 That’s when the rancher grabbed his rope and let if fly, lassoing the thief around his ankles, causing him to flop to the ground, and dragging him like roped cattle to the end of the parking lot, where he called 911. Would you mess with these guys?